Can a High Credit Card Balance Affect a Background Check? A background check conducted by a prospective employer is standard operating procedure. A background check, in the most basic sense, looks at a candidate's applications materials, including college transcripts, high school degrees and criminal convictions. However, some employers, particularly those seeking candidates for positions of significant influence and financial control, will include a credit check in the background report. If you have a high credit card balance on your credit report, it might affect your application. 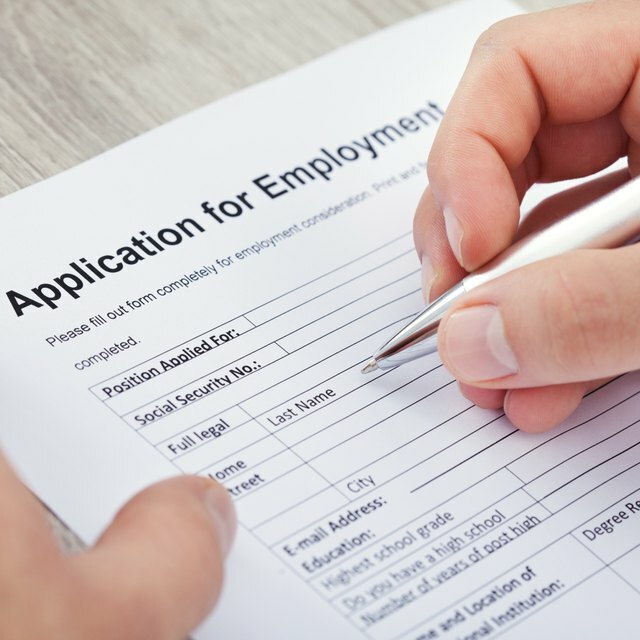 If you have reached a certain level in an interview process with a company, you may find yourself in possession of a release form. In many cases, this indicates that the company wishes to perform a background check. Although this is legal, the company must get your consent to the check -- including your consent to pull your credit report and your credit score. If you do not consent to the credit check, your prospective employer cannot perform it. In the 2010 study "Background Checking: The Implications of Credit Background Checks on Hiring Decisions," conducted by the Society for Human Resource Management, "only 13 percent of organizations conduct credit checks on all candidates." Therefore, although a high credit card balance can still be a cause for concern, it will not necessarily derail an otherwise healthy and blemish-free background check. Pulling your own report first will help you establish the seriousness of the debt. Your high credit card balance will become more of an issue if your background check involves an application for a position in high-risk finance or sensitive government or security positions. As the necessity of responsibility becomes more important in a job description, the more prospective employers may be dissuaded by your credit card debt. In other words, high credit card debt can signal weak financial responsibility, which, according to some employers, may translate to weak professional responsibility. Do Credit Card Issuers Call Your Employer? Can a Civil Judgment Affect Employment? If an employer takes an adverse action against you because of your high credit card balance, you have some rights. First, that employer must obtain and provide to you a copy of a document entitled "A Summary of Your Rights Under the Fair Credit Reporting Act." This report will detail the options you have regarding the adverse action. If, for example, the adverse action was as a result of a piece of inaccurate information, you could take action to get your application restored and background check restarted.